In this house of many memories we established the school. In managing the school we experienced a number of difficulties which we ought to have foreseen. There was, first, the problem of finance. It became obvious that there must be an enormous pecuniary loss. We could only have prevented this by making the school large and the food inadequate, and we could not make the school large except by altering its character so as to appeal to conventional parents. Fortunately I was at this time making a great deal of money from books and from lecture tours in America. I made four such tours altogether during 1924 (already mentioned), 1927, 1929, and 1931. 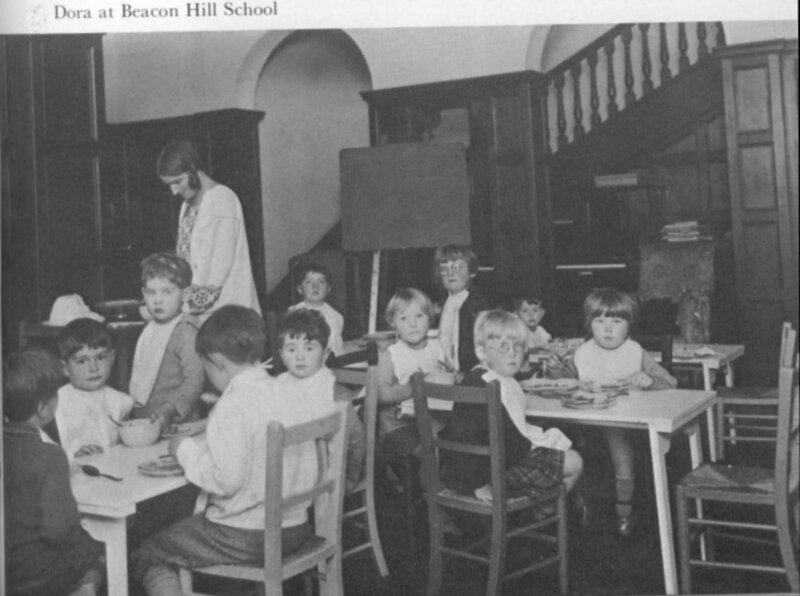 The one in 1927 was during the first term of the school, so that I had no part in its beginnings. During the second term, Dora went on a lecture tour in America. Thus throughout the first two terms there was never more than one of us in charge. When I was not in America, I had to write books to make the necessary money. Consequently, I was never able to give my whole time to the school. A second difficulty was that some of the staff, however often and however meticulously our principles were explained to them, could never be brought to act in accordance with them unless one of us was present. A third trouble, and that perhaps the most serious, was that we got an undue proportion of problem children. We ought to have been on the look-out for this pitfall, but at first we were glad to take almost any child. The parents who were most inclined to try new methods were those who had difficulties with their children. As a rule, these difficulties were the fault of the parents, and the ill effects of their unwisdom were renewed in each holiday. Whatever may have been the cause, many of the children were cruel and destructive. To let the children go free was to establish a reign of terror, in which the strong kept the weak trembling and miserable. A school is like the world: only government can prevent brutal violence. And so I found myself, when the children were not at lessons, obliged to supervise them continually to stop cruelty. We divided them into three groups, bigs, middles, and smalls. One of the middles was perpetually ill-treating the smalls, so I asked him why he did it. His answer was: 'The bigs hit me, so I hit the smalls; that's fair.' And he really thought it was.